Seward has been diagnosed with a fatal recurrence of cancer. 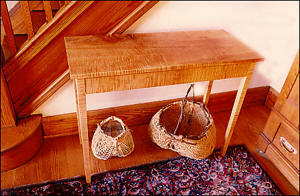 Seward built custom furniture one piece at a time. Each piece of furniture was made by hand, built to suit the tastes and needs of a particular customer. 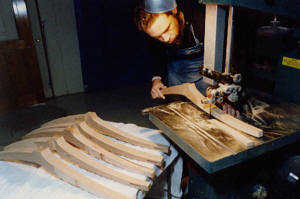 He continues to work in the shop on personal projects as time and health allow. I built my first piece of furniture, a hall table, in my basement shop. After a week of careful work I stood the table on my workbench under a bare light bulb. 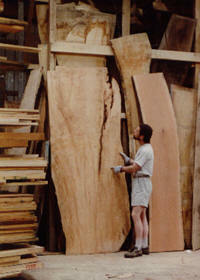 I was in awe of the the curly maple wood. 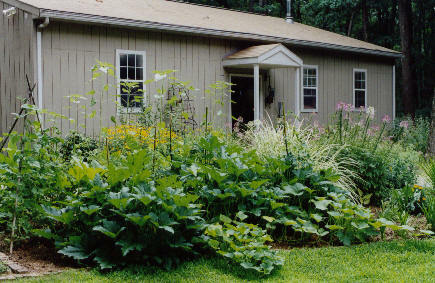 I was amazed that a pile of rough sawn boards had become a beautiful and useful object. 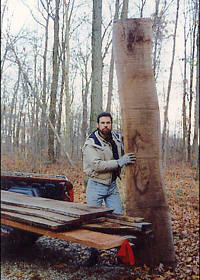 I still enjoy the challenge of bringing rough lumber to life in the form of hand crafted furniture. Furniture making is an ancient art. My work reflects the legacy of American furniture design. 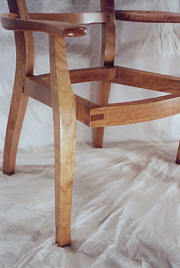 The greatest challenge in building furniture is mastering the skill of craftsmanship. 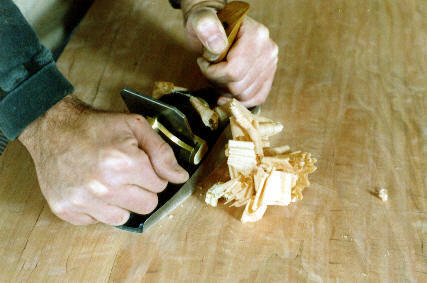 My work is about keeping alive the ancient skill of building furniture by hand. It's about the satisfaction that comes from the act of creating something useful. And it's about working with my customers to bring their ideas to life. I left my basement shop a decade ago. Today I work in a 1600 square foot shop a short walk from my home in New Park Pennsylvania, where I build custom furniture on commission for other people's homes. 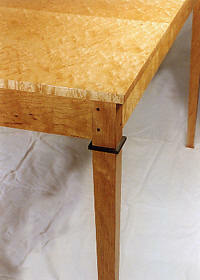 Sometimes hidden, sometimes celebrated in full view, wood is joined with hand cut mortise and tenon joints and dovetails. Frame and panel construction allows the wood to move in response to the changing seasons. Often, rather than stain the carefully selected hardwood, it is hand polished before applying an oil and varnish finish, highlighting the natural beauty of the wood. I take pride in creating a piece of furniture that will last as long as it took the tree it came from to grow to maturity. It's not about the tools, although good tools are useful, and a pleasure to use. When I sign a piece of my furniture, it's a mark of the pride I take in my work. I strive for the grace of simplicity when I design my work. I enjoy celebrating the beauty of the wood. If this appeals to you, perhaps there is a piece of my furniture in your future. Special thanks to Jeanne O'Steen for the inspiration for this web site.